Identity Management & Cybersecurity Experts - We Get IAM Done! Digital transformation has enabled remarkable growth, revealed new revenue streams and cost savings and helped businesses enjoy never-before-seen agility. But there is a tradeoff…organizations must balance all this digital opportunity with the reality of greater risk and threat of breach. Idenhaus’ experts solve your most challenging cybersecurity and identity management problems – so you can keep growing and profiting during this time of unrelenting change . We give you the insight, guidance, and tools to protect your company’s assets and information and help you avoid the most common pitfalls. 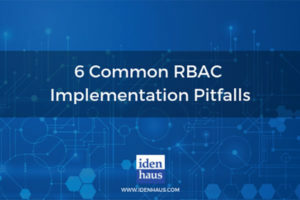 We go to work quickly and take the pain out of implementation by using a mature methodology to lead your team from initiation to implementation. Our holistic approach looks at your operational, physical, and industrial infrastructure and wades through the chaos so that you see the value right away. What makes Idenhaus different from other IT consulting firms? Time is money so we are laser-focused on delivering quantifiable results and making a positive impact ASAP. You can’t Google what we know. Our consultants have hard-won experience and use proven strategies and protocols perfected over the last 15 years. We know how to balance security imperatives with usability. In other words, we don’t make recommendations that are technically perfect but paralyze your users from doing their job. We are technology agnostic. Whether you have an existing IDM or cybersecurity platform or need a recommendation, we can help operationalize a plan that works. We have long-term client relationships because we have earned our clients’ trust…again and again. Idenhaus Consulting offers high quality consulting services in the areas of strategy, analysis, requirements, and design of IAM solutions. We work closely with the business to define and validate IDM solutions and gain executive support for the program.